Why i can’t appear before the House of Reps – Adewole – Royal Times of Nigeria. 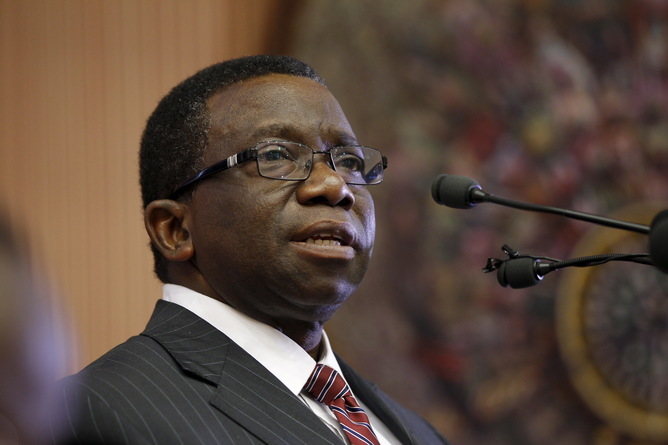 Minister of Health, Isaac Adewole has written to the House of Representatives on why he would not appear before it. The House had summoned the minister over the suspension of Usman Yusuf, executive secretary of the National Health Insurance Scheme (NHIS) after he refused to comply with an order to reinstate the executive secretary. Adewole in the letter said his scheduled visit to Osun and his decision not to thwart the outcome of the panel investigating Yusuf will lead to his absence. The letter addressed to John Okafor, chairman of the committee, read: “Mr Chairman, may I inform you that the federal ministry of health with the approval of the acting president and head of service is currently conducting an administrative panel of enquiry on NHIS including the suspended executive secretary – Professor Usman Yusuf,”. “I am expecting that in a couple of days, the committee should submit her report to my office. Secondly, I have committed myself to a national programme as part of the stakeholder’s meeting including the executive governor of Osun. The programme is being supported by the Engender Health and beneficiaries are expected from all over the country.